Webvision has long had a chapter on photoreceptors in it, though sometimes imagery comes your way that really deserves to be published in some way, shape or form that will not necessarily be in context with any other story. This is a prime example of imagery like that which should be shared with the community. We are all sitting on beautiful imagery that may or may not appear in our publications and yet the wider vision research community can benefit from it if shared. 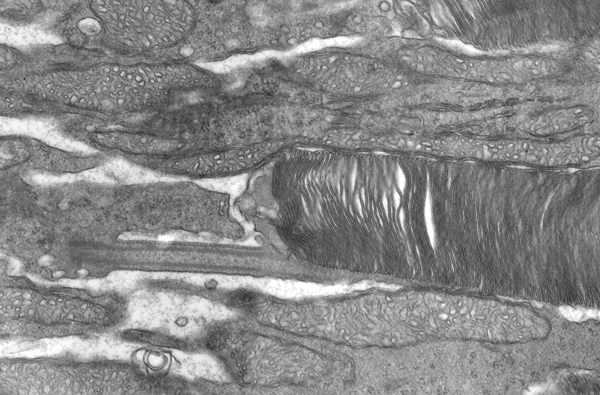 So, I was in Jeanne Frederick‘s lab talking with her the other day and noticed a beautiful transmission electron microscopy image of a photoreceptor complete with cilium on her wall. It turns out I had seen this before, as Carl Watt was the one who captured it, but somehow I had forgotten about it. 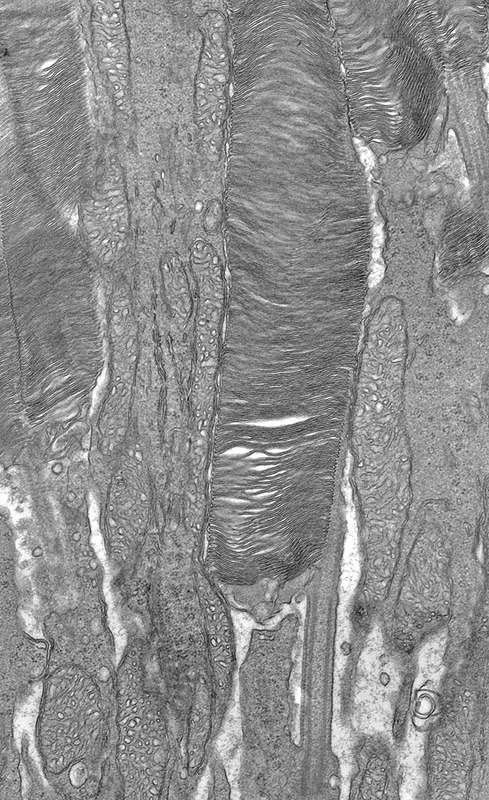 This really is a beautiful example of a rod photoreceptor with excellent fixation. The mitochondria are gorgeous, the cilium is perfectly oriented and the membranes of the stacked discs are very nicely illustrated. Image credit: Drs. Jeanne Frederick, Ph.D. and Carl Watt, Ph.D..